Whatever you think of the iPhone X and its Face ID system, the many complex sensors inside Apple’s latest handset have let clever developers come up with some weird apps. 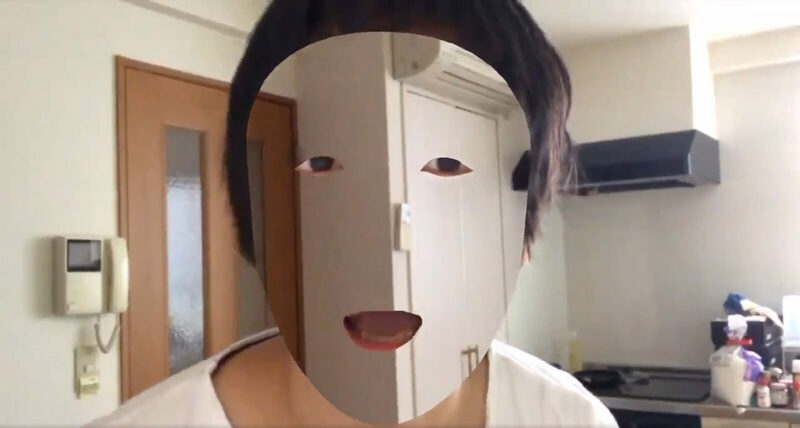 The latest one, from a Japanese dev named Kazuya Noshiro, gives users a cool but creepy ‘invisible’ face. In a tweet first spotted by DesignTAXI, Nosiro, who is CEO of game development company ViRD, showed off a 10-second clip in which he moves around while most of his face is seemingly invisible. The app itself was made on game engine Unity. To create the Predator(ish) camouflage, Noshiro first used a fixed camera to pre-record the background of the room, which may be something people will have to do when using the app. He then got the phone to define his face and blank it out in every frame, replacing it with the background image. It’s the effect’s smoothness and tracking that really make it stand out. It seems that creating this illusion will be the app’s only function, but there are plenty of other popular ‘novelty’ applications available in the stores. As it appears to use the iPhone X’s TrueDepth camera—the same technology used for Face ID and Animoji—the app will likely be exclusive to owners of Apple’s flagship device. No word yet on a possible release date. Android phones are embracing augmented reality, too. Google recently shuttered Project Tango to make way for its ARCore initiative. The first ARCore app for Pixel phones is AR stickers, which lets you add 3D characters, including those from the Star Wars franchise and Stranger Things, into a device’s camera feed.